Rev. Michael Byrnes, JCL; Máiréad Uí Mhurchadha. Mairead Collins; Rita Scully; Brid Powell. Patrick Williams, PP, Cummer; Thomas Mannion, PP, Louisburgh. Leenane; Michael Kenny, PP, Letterfrack. The Marriage Tribunal is one of the caring agencies of the Catholic Church. may be questioned on recognised grounds. directly or through their local priest. any arrangements with a hotel, caterers etc. Registration Office for the County in which the marriage is to celebrated. The Registration Office, Newantrim St., Castlebar, Co Mayo. The Registration Office, The Courthouse, Roscommon. The priest will advise the couple of the documents required for the marriage. since age 16, and a pre-Marriage Course Certificate. Dispensation from the local Bishop will also be needed. despatch of papers etc, should be done with plenty of time to spare. God for the gift of the partner or of asking His blessing on the marriage. not suitable for use in church). is an essential requirement for marriage in a Catholic Church.  Celebration — Guidelines from the Irish Episcopal Conference.  Time and resource management. the inner resources to deal with them..
ACCORD office in Tuam, Monday, Tuesday, Thursday from 10am to 4pm. Chapel Street, Castlebar. 094 9025900. Mon. – Fri. 9.30 a.m. – 5.30 p.m.
brochures which are available each January and September. A professional counselling service is available at the Family Centre. charged per session depending on an individual’s ability to pay. You will be most welcome to contact the Centre for an appointment. Are there times, when you don’t know where to turn for help? * Negotiate their own agreement. * Avoid going to court. * Create an “all-gain settlement”. Castlebar. Phone 094 9024334 for further information. Helping People Deal with Debt. Ballyhaunis, Claremorris, Achill, Westport and Ballinrobe. Call the 094 9028888 for an appointment. for parents and guardians is held in October. Centre under the direction of the Rainbows Registered Directors. Contact the Centre for details. basis about your own spiritual journey to a qualified spiritual guide. For an appointment or further information contact the Family Centre. patients, their families and friends. Tuesday’s: 11.00 a.m. – 1.00 p.m.
Wednesday’s: 7.00 p.m. – 9.00 p.m.
Saturday’s: 1.00 – 3.00 p.m.
You may call in personally or ring the CURA number 094-9024866.
and the Department of Social and Family Affairs.